Ok guys, I got to spend time with Baby Greer and her sweet family again. Baby Greer, “Gigi” was born almost two weeks ago and I met her at Riverside for her fresh 48 photoshoot. 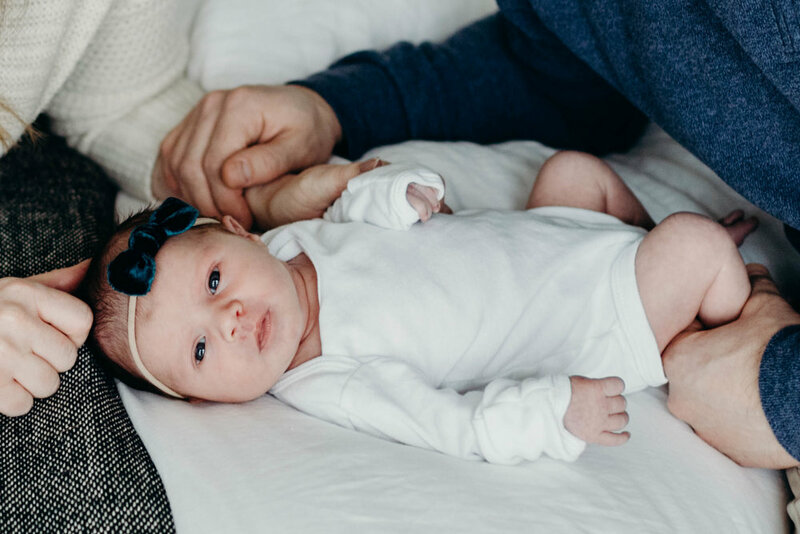 She was still as fresh for her newborn shoot and the camera loved her. At one point, her parents were both giving her a kiss and I have never seen a baby more happy and content than that moment. Thank you Hall family for inviting me to your beautiful home and letting me spend just a little bit more time with you and baby Gigi.